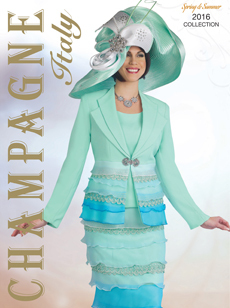 Champagne Italy Suits prides itself on bringing you the latest in modern women’s suits and showcases a large selection of classy, chic and sophisticated creations. 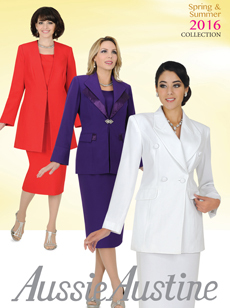 Current featured lines include the Elite Champagne, Aussie Austine and Champagne Spring collections, each of which embraces the most up to date styles in women’s church suits. 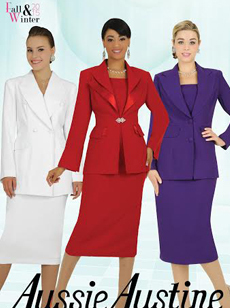 When it comes to women’s fashion, fit is everything, and Champagne Italy Suits provide a wide range of sizes to ensure that your ideal suit fits you perfectly. 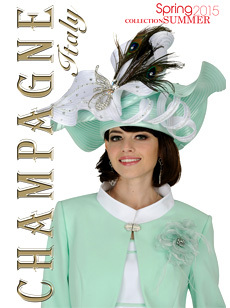 By stocking a vast array of styles and designs, Champagne aims to provide women of all ages with the exact look that they have in mind. 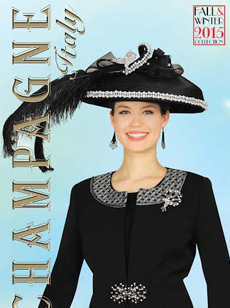 Every woman knows that to look great you need to have all the right accessories, and you will find all of those essential touches right here at Champagne Italy Suits. 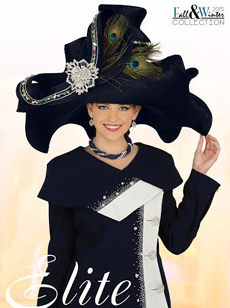 Whether you need a matching designer hat, purse or jewelry, this is your one stop shop for the complete church outfit. You will be looking and feeling great in any distinguished company wearing a piece from the Aussie Austine collection by Champagne Italy Suits. 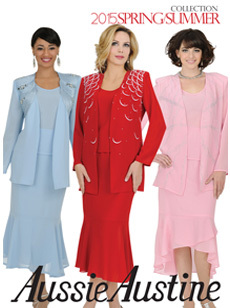 This impressive range consists of women’s suits, church outfits and divine dresses, each of which oozes class. 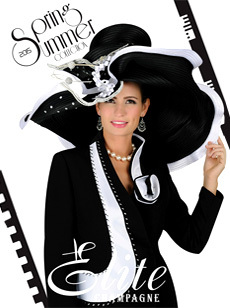 The Elite Champagne collection by Champagne Italy Suits features the latest in classy women’s suits, all of which are stylish, sophisticated and versatile. Whether you are heading to a wedding or a business function, this chic collection has you covered.